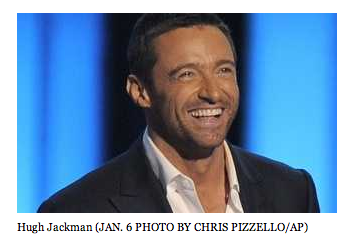 X-Men “Wolverine” to star in action Sci-Fi adventure “Real Steel” film from Dreamworks & Steven Spielberg. $80 Million film budget Picture will shoot Detroit and other parts of Michigan in June 2010. This entry was posted on Friday, January 22nd, 2010 at 7:25 pm	and is filed under Blog. You can follow any responses to this entry through the RSS 2.0 feed. You can leave a response, or trackback from your own site. My name is Angella Turnage, and I would like to audition for any movies coming in near Detroit, MI. I am a 3rd grade teacher with a background in theater, and I’m excited about you bringing movies to Michigan. Could someone contact me at angellaturnage@yahoo.com so I can audition for a movie. Thanks for the opportunity to act again by you bringing in movies to Michigan.